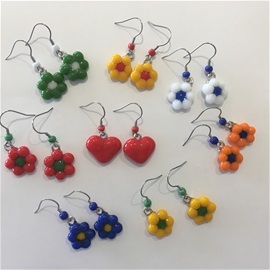 New to the collection glass flowers and heart drop earrings $22. 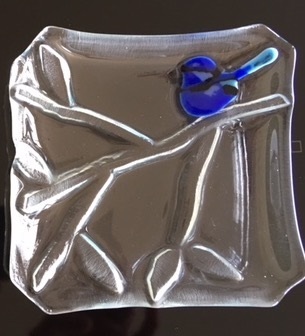 Claudia has loved glass since she was a little girl. 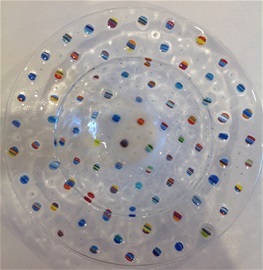 She started collecting it when she was ten ( and still has her first piece). 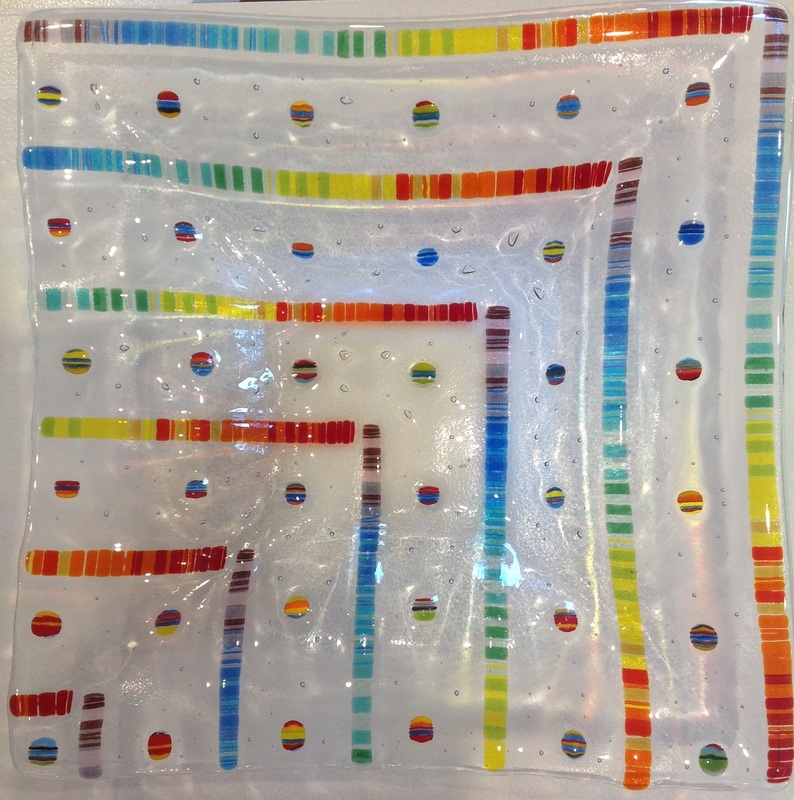 For Claudia, it is the way light moves through glass and the vibrant colours that glow. 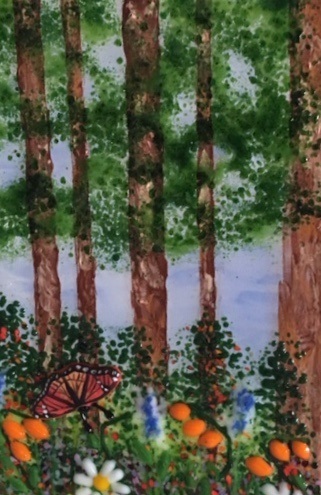 She loves to visit cathedrals and watch the play of light through the stained glass windows. 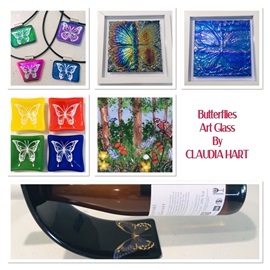 Claudia has been a secondary school teacher for many years. She came late to glass crafting, learning to fuse it in her late fifties. 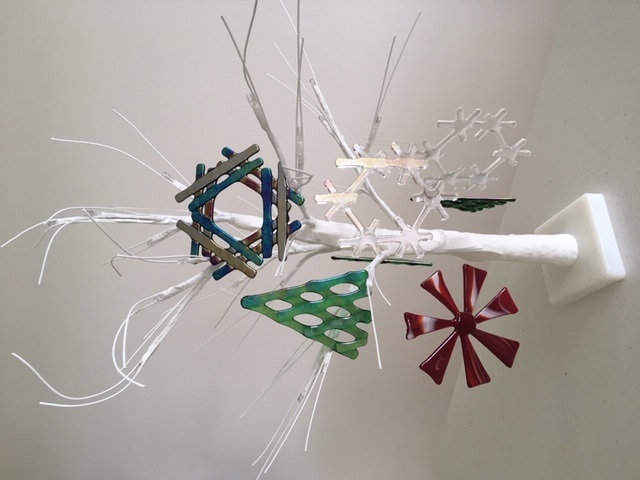 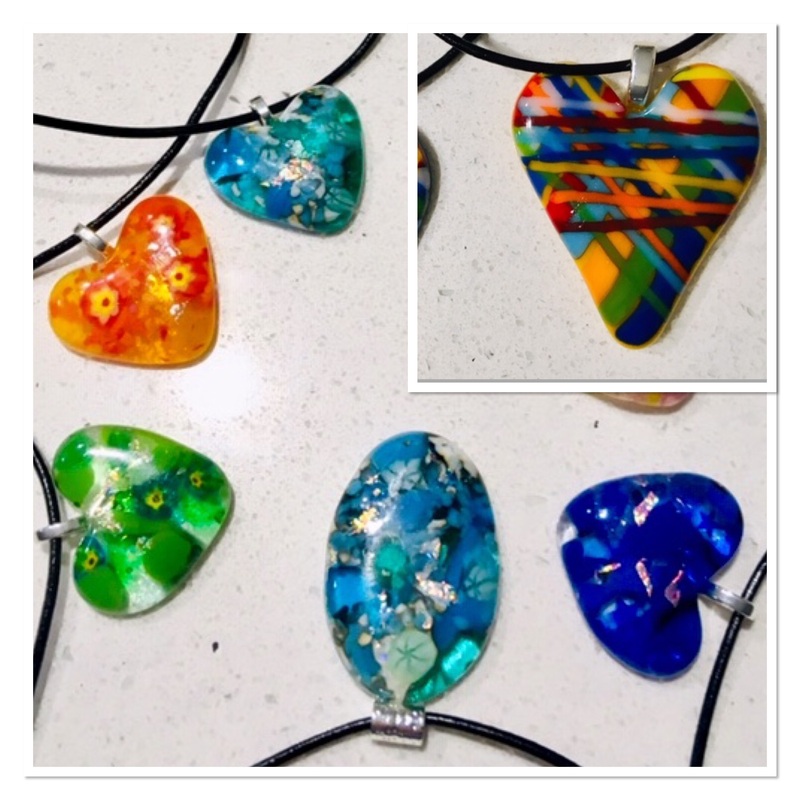 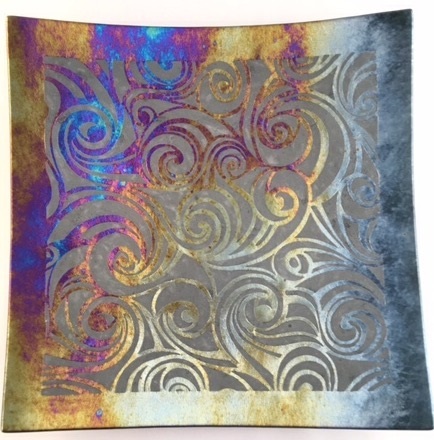 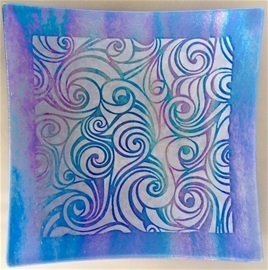 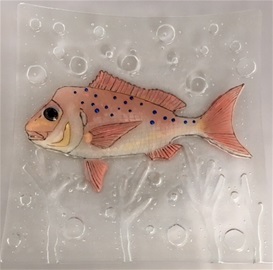 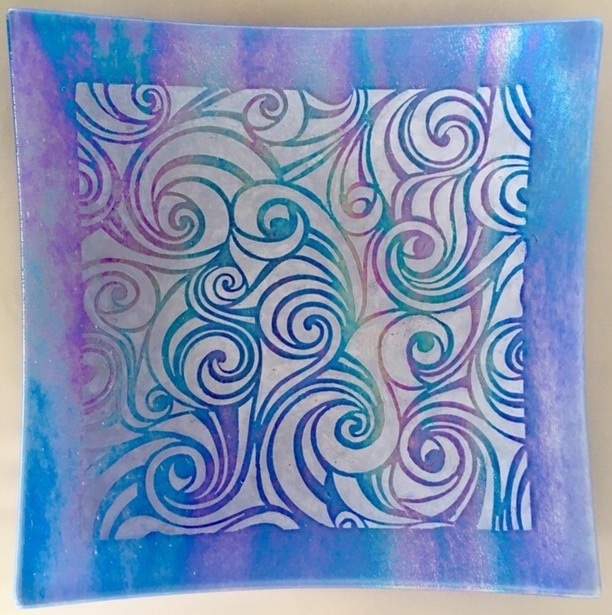 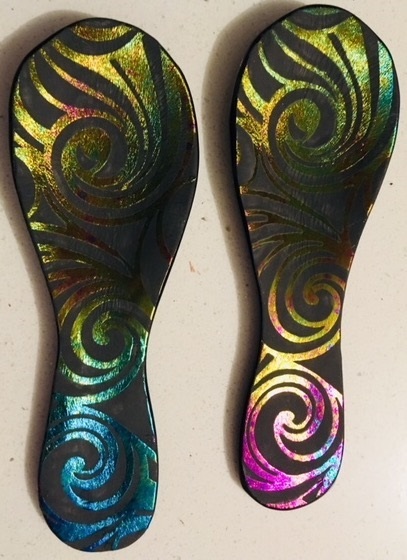 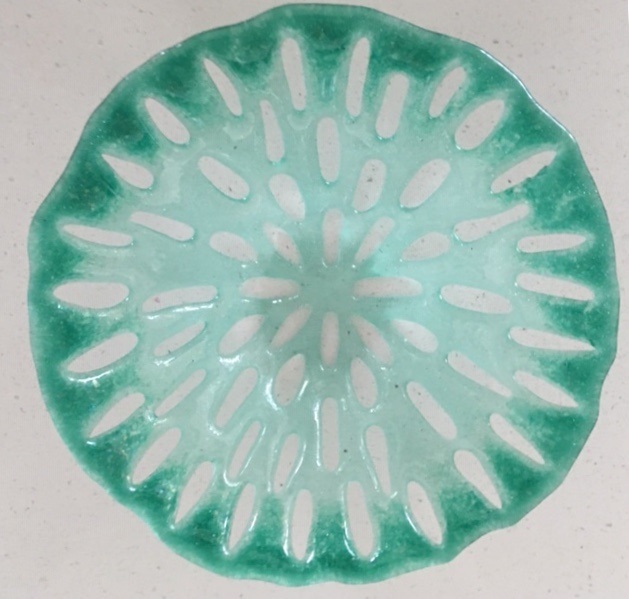 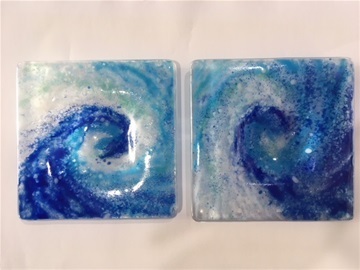 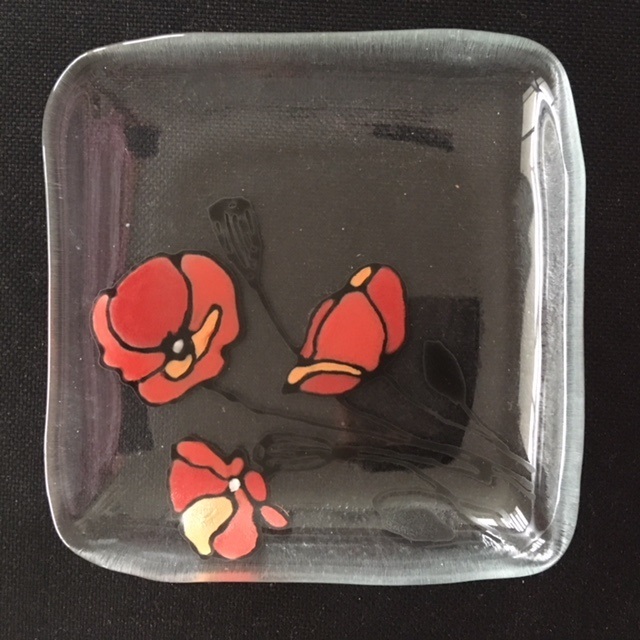 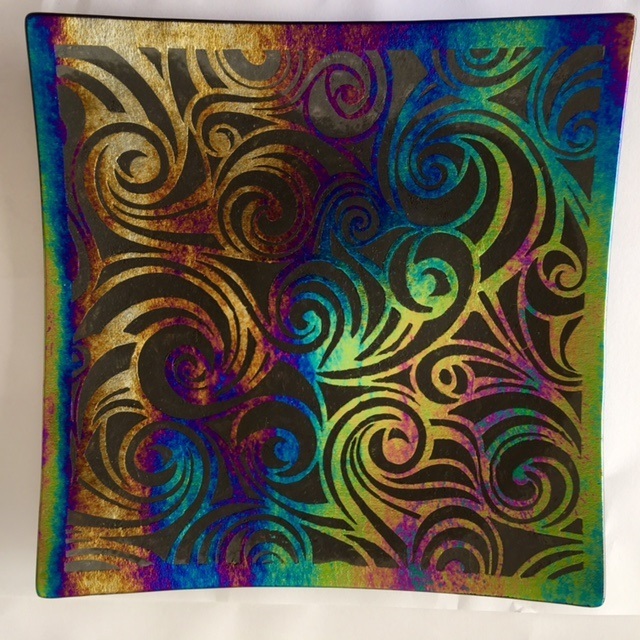 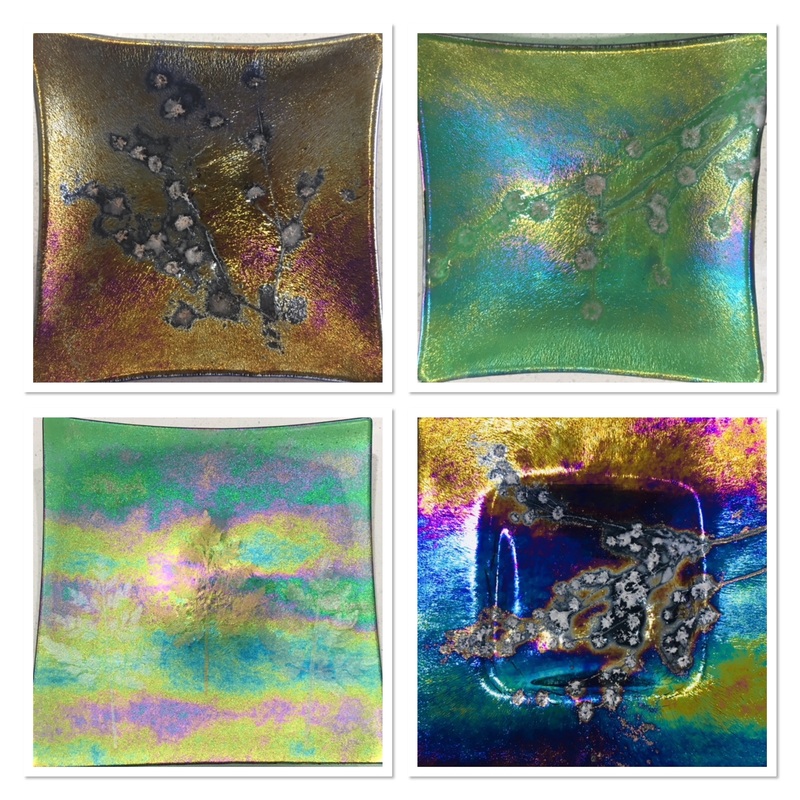 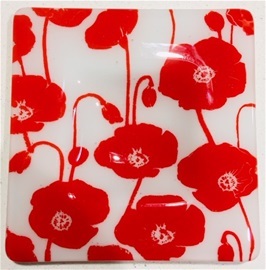 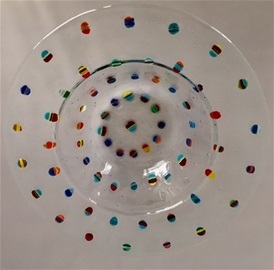 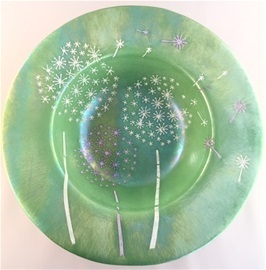 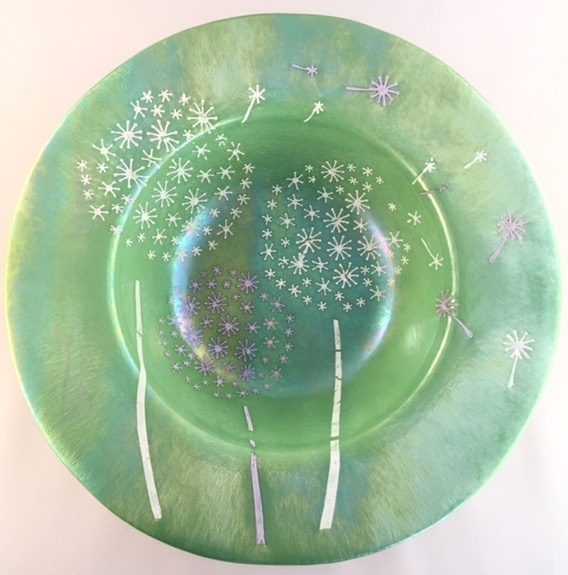 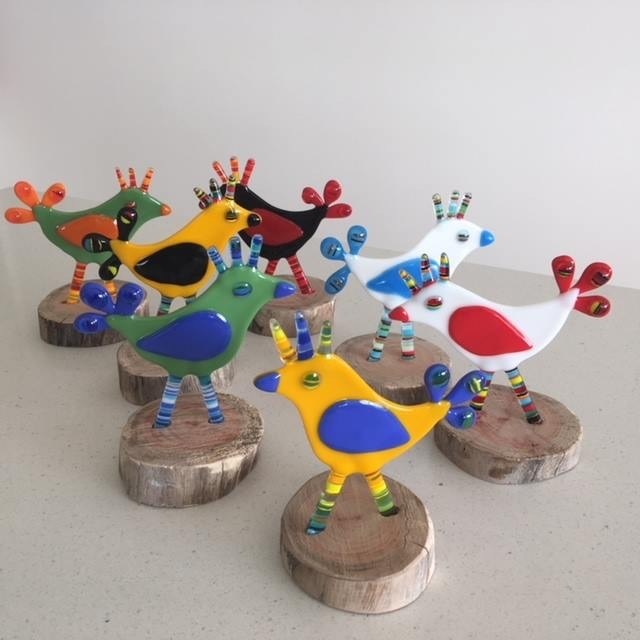 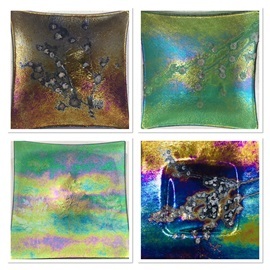 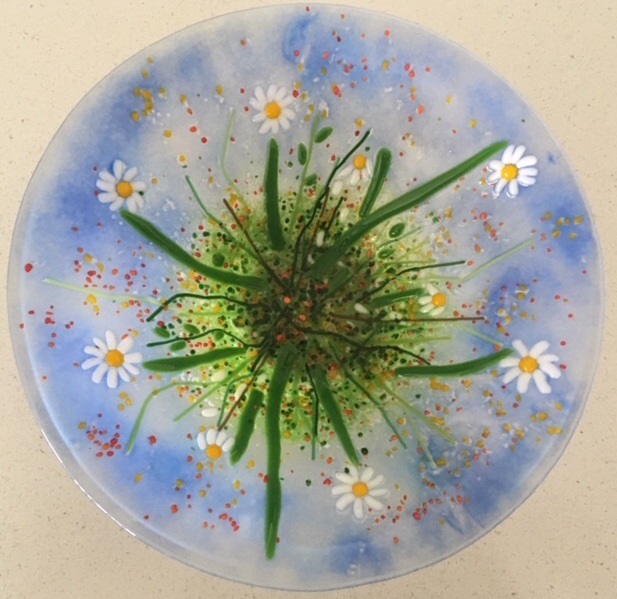 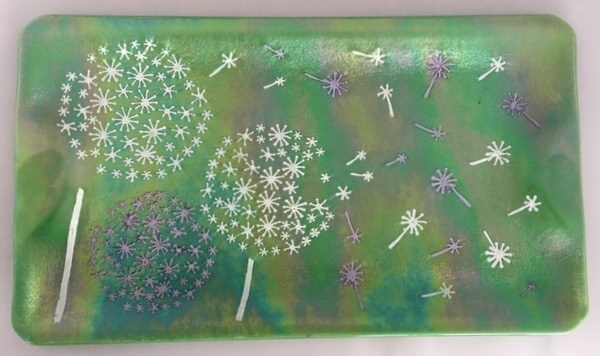 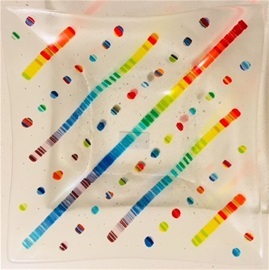 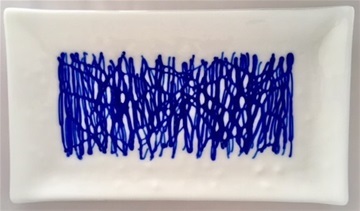 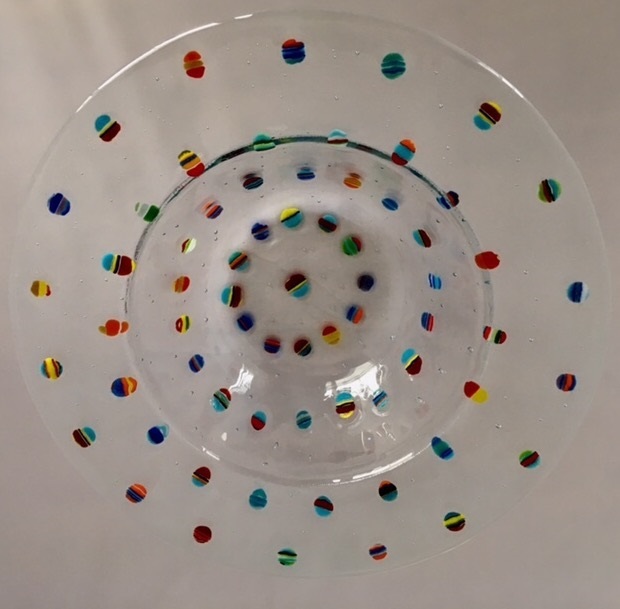 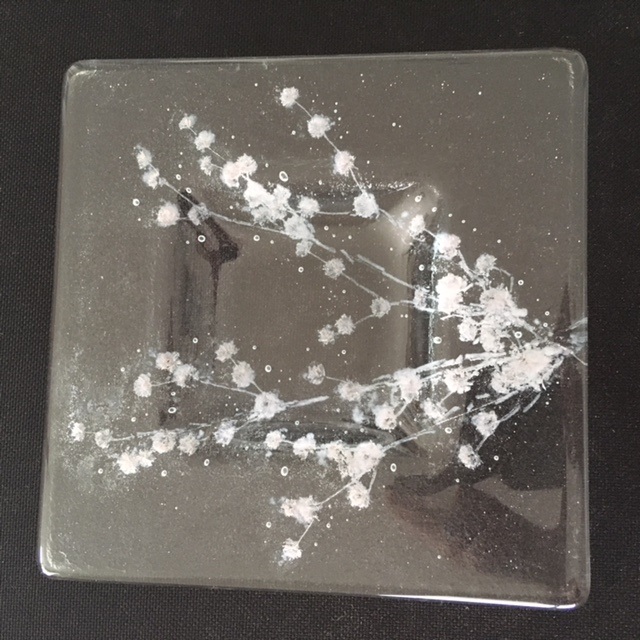 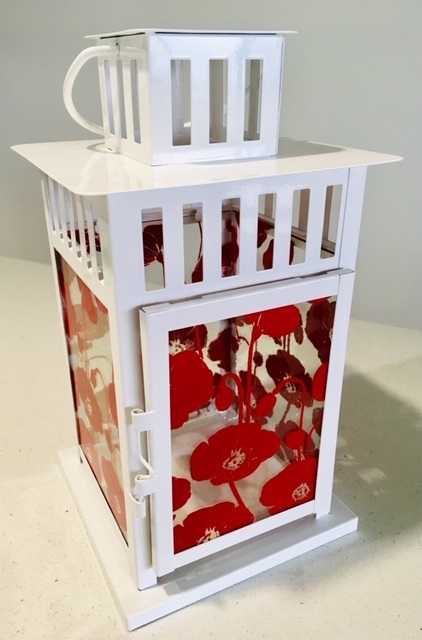 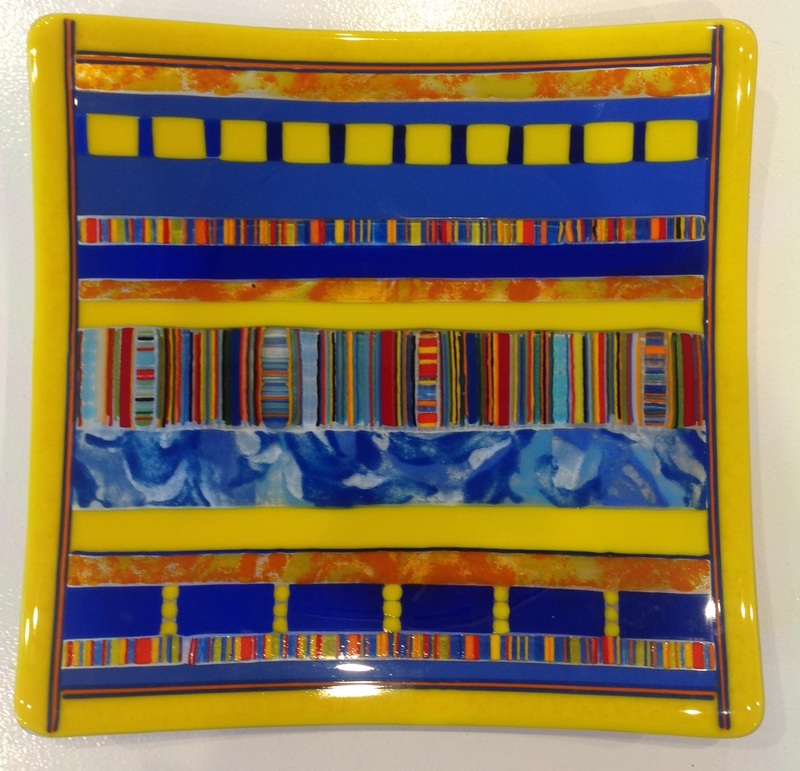 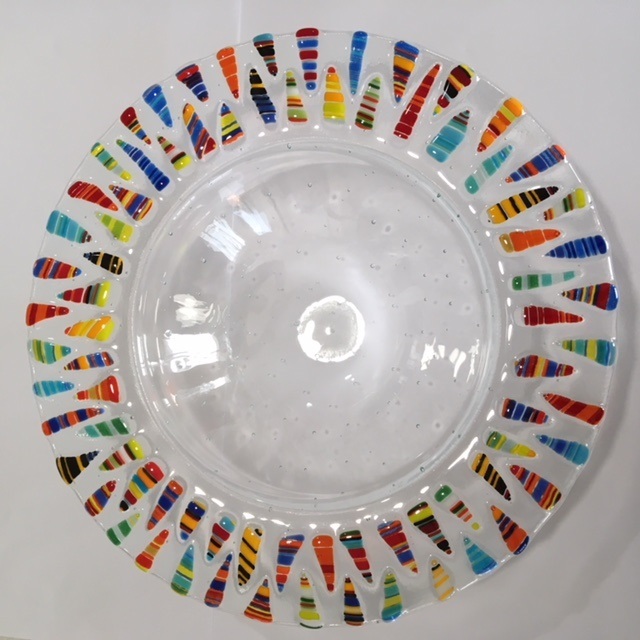 She combines a love of colour with innovative glass techniques and is constantly learning. 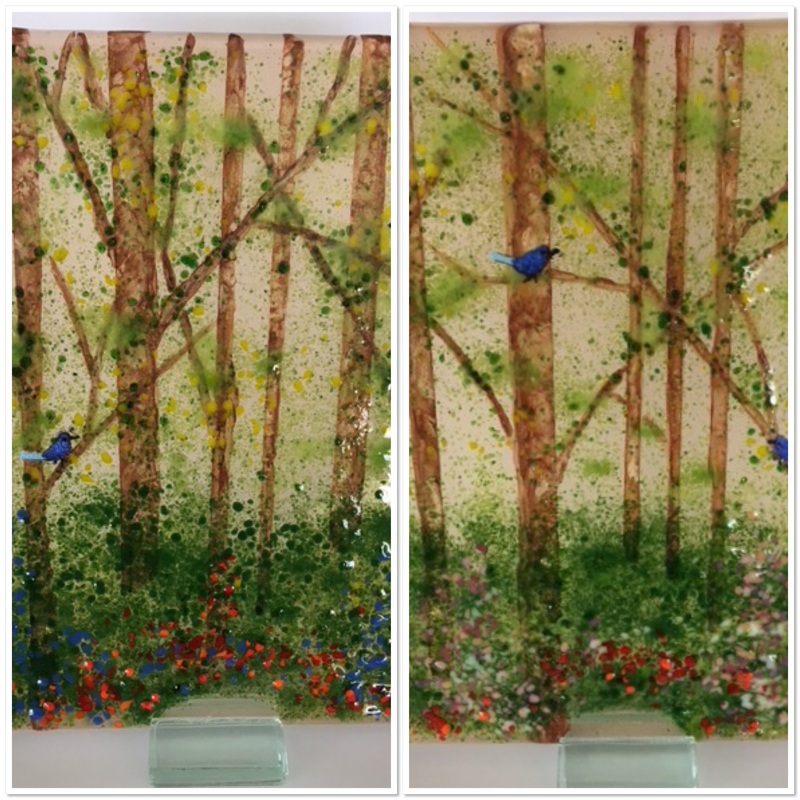 Most of Claudia's work is time consuming and labour intensive with multiple firings. 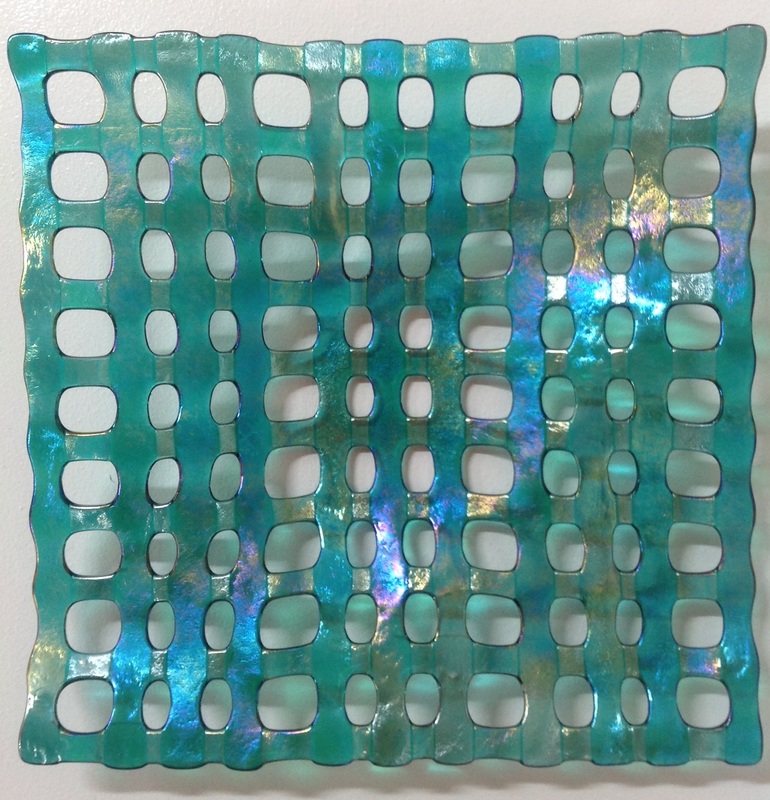 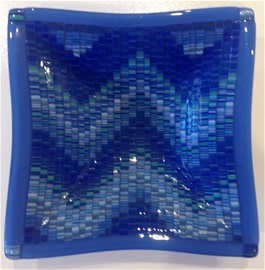 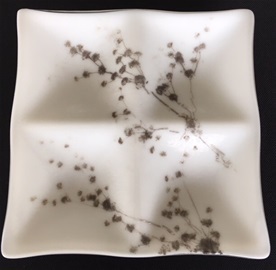 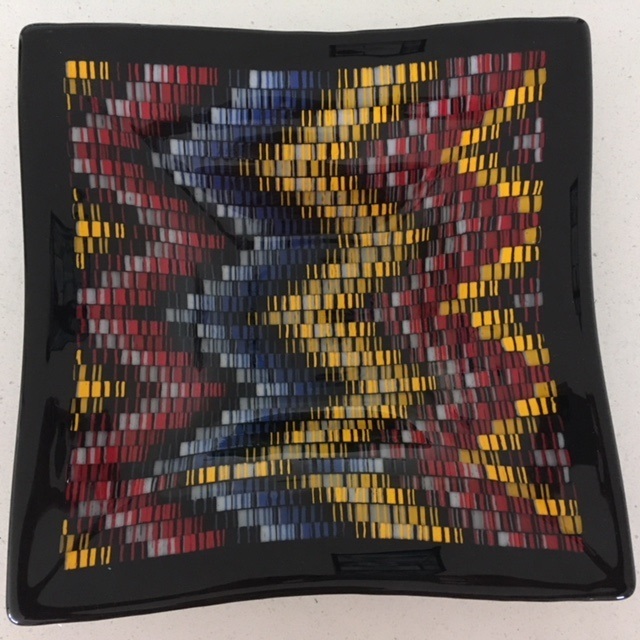 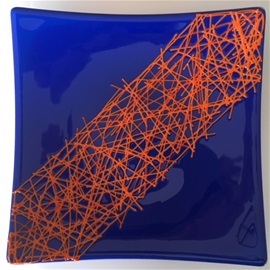 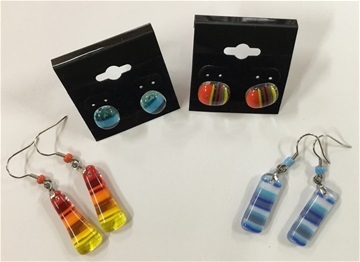 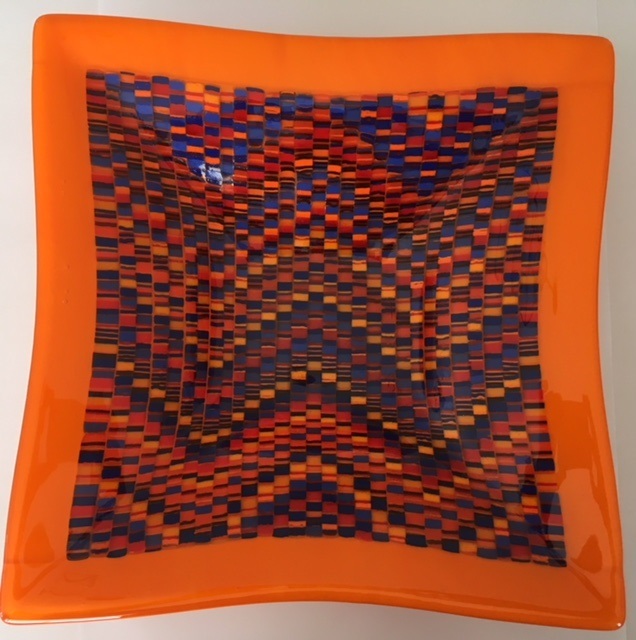 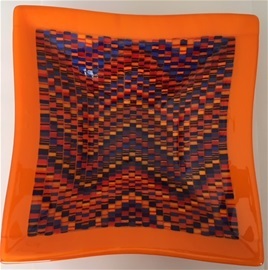 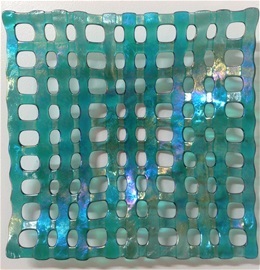 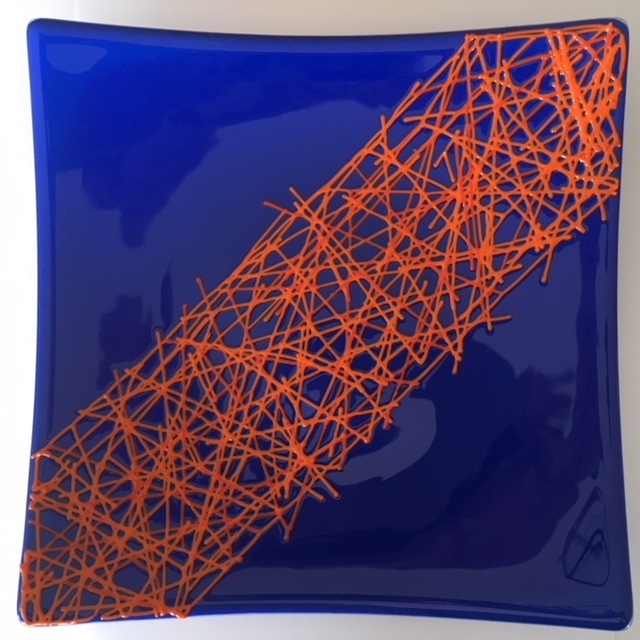 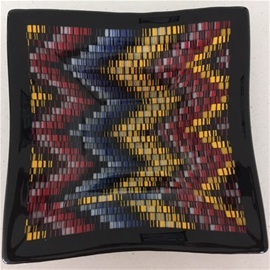 For some pieces she uses thin strips of glass ( called stringers), carefully placing them, fusing and then cutting to form either stripes or weaves. 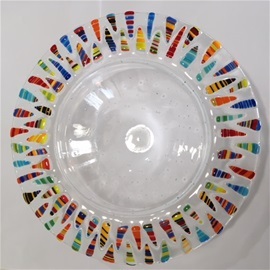 These are then slumped into plates or bowls. 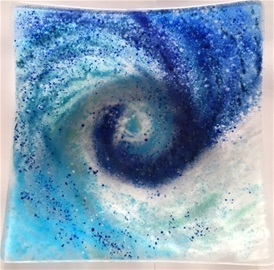 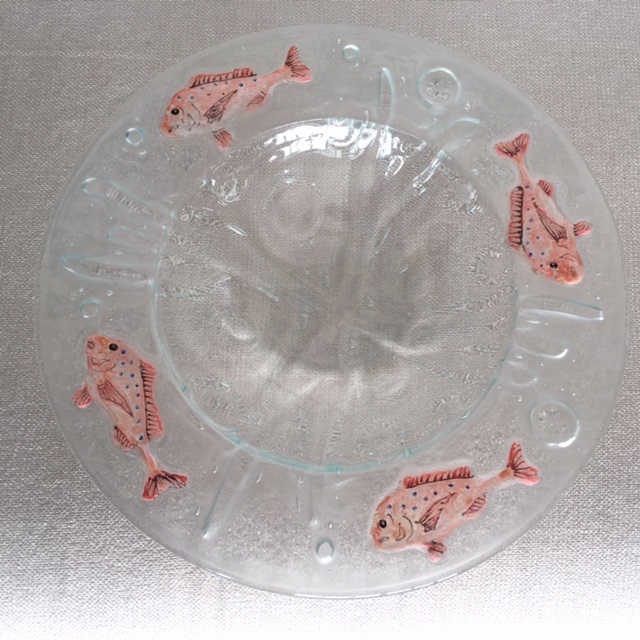 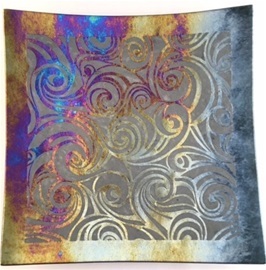 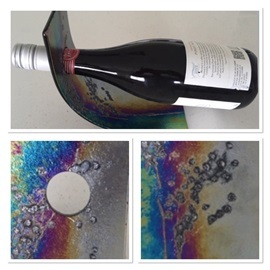 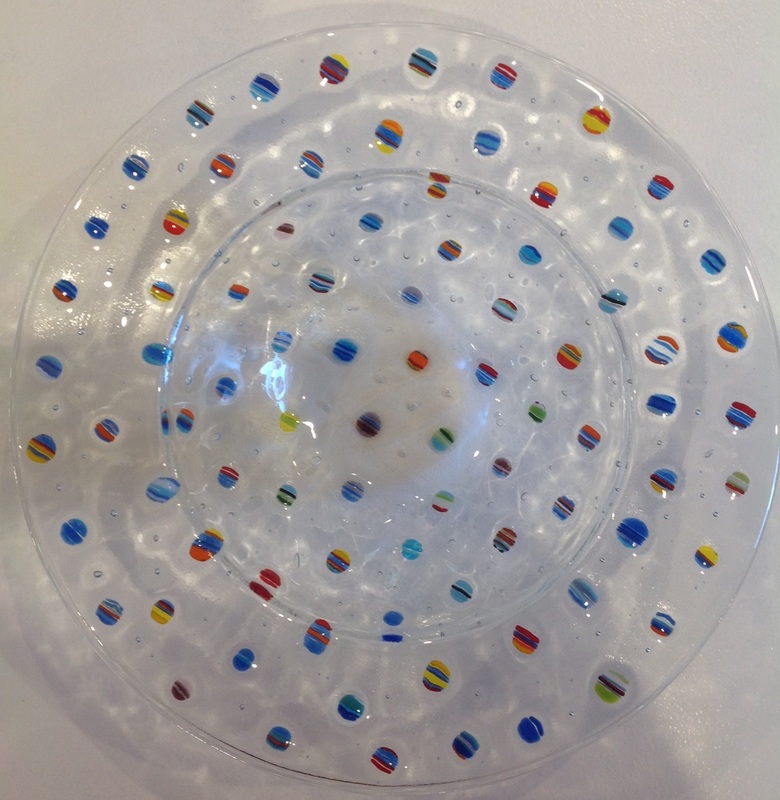 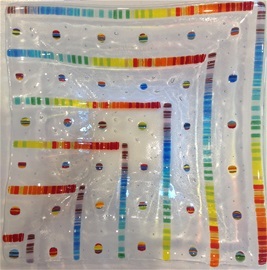 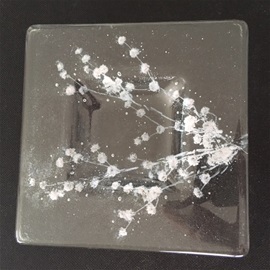 Other pieces are painted using powered glass and glass paints, built up through several firings. Having retired from teaching, Claudia now lives in Denmark with her husband and enjoys visits with her children and their families. 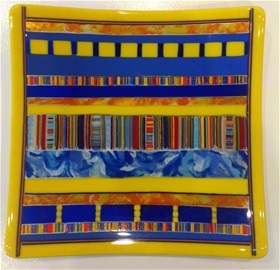 Her studio has two windows - one that looks out over Denmark to the Stirling Ranges and one that faces karri forest. 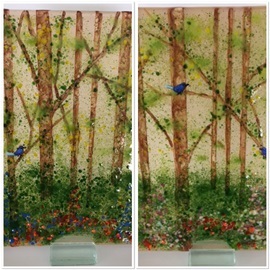 Both windows inspire her to create but it is the trees and the beautiful surrounds in Denmark that really make her soul sing.